CAN/AM Grand CH. 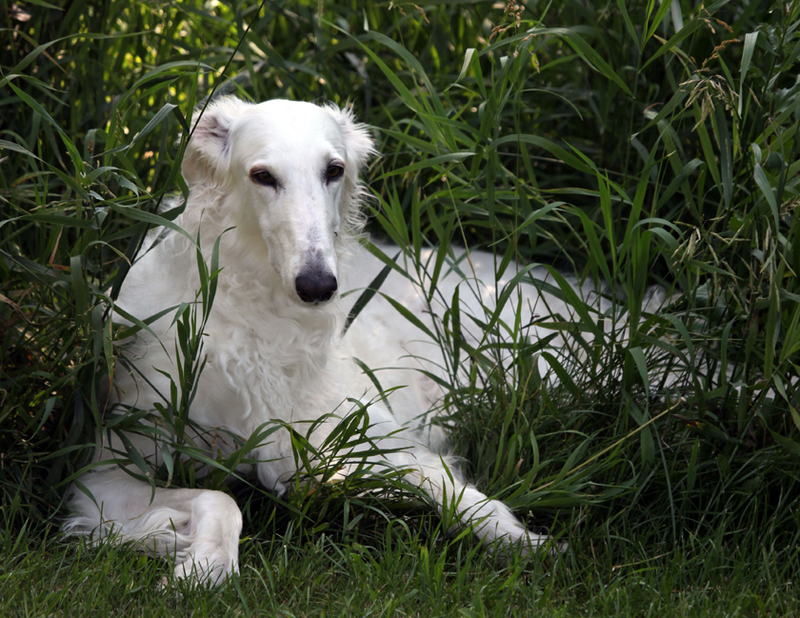 Taugo's UR Mystical Rhayne CGN - Wolfwoods Borzoi "Beauty, Elegance and Grace"
Wolfwoods Borzoi "Beauty, Elegance and Grace"
Rhayne is from Taugo Hounds in Calgary, Alberta. Her sire is MBISS Can. Ch. Bon Jour Stepowy Goniec (BJ), and her dam was Am/Can Ch. Taugo's Sophie's Kauz (Sophie). Rhayne is currently busy showing during the 2013 year.